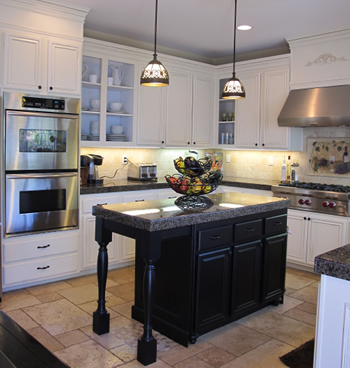 Kitchen Remodeling - Cabinets, Countertops, Flooring, Appliances - McClincy's Seattle, Bellevue, Renton, Washington. Your kitchen is at the center of your family and is the hospitality hub of your home. Wouldn't it be wonderful to have a dream kitchen? Spacious, luxurious, convenient, even fun ... a real source of pride and enjoyment! Your dream kitchen is available, when you have it designed and built by McClincy's – the remodeling general contractor with decades of experience and a unique creative talent. You can depend on us to give your kitchen a fresh new look and a design that is as convenient and user-friendly as it is attractive. Your ideas and preferences will guide the project, from design to completion. Quick turnaround is the hallmark of a McClincy's remodel, and you can rest assured that yours will be completed on schedule and within budget. You can also rely on us to offer money-saving suggestions and alternatives that provide top quality at a lower cost. There are a million details. Choosing cabinet finishes and hardware, selecting countertop materials and finishes, looking at lots of options for flooring, appliances, sinks, islands.... The choices can be overwhelming! But when you work with a design-build project manager at McClincy's it becomes easy. You'll be guided every step of the way to make the right choices for your home and your budget. You'll always have someone to talk with when you have questions or need help. You have an advocate who looks out for you through the entire process of remodeling your kitchen. And, as a McClincy's client, you can visit our showroom at Renton Highlands to see firsthand a wide selection of stone, cabinets, flooring, countertops, finishes, and fixtures, and other items that can be incorporated in your project. Visit our showroom today see for yourself and to get a complimentary remodeling consultation! 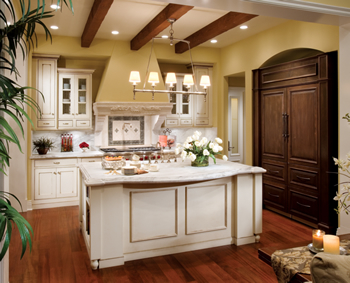 Contact us today to get started on the remodel project that will make your kitchen a showplace. View our gallery of home remodeling projects. Learn more about McClincy's process of making your home remodeling project easy.